LOVE LOVE LOVE! Head over to get one of these Personalized Character Puzzles for ONLY $11.99 (Retail $24.99)! 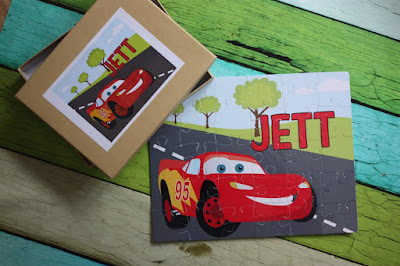 These personalized character inspired puzzles are perfect for your little one. This professionally printed puzzle measures 7.5" x 9.5" and includes 30 pieces. It features the character of your choice and your little one's name. It also includes a box to store the pieces in when it is not being used.